A 17-year-old boy worried about being late for curfew wound up in trouble with the law instead. Michigan State Police busted the youth traveling at 138 mph in a fifth-gen Chevrolet Camaro. The teen from Grand Blanc, Michigan, was spotted going north in the left lane of I-75 before trying to duck off onto E. Holly Road once troopers spotted him. According to The Detroit News, the traffic stop occurred at 8:45 p.m. on November 23, with the unspecified 2012 Chevrolet Camaro clocked at nearly twice the 70 mph speed limit. The teen driver was spotted passing cars and weaving in and out of lanes and apparently told officers he was driving in such a manner because he was late for his 9:30 p.m. curfew and didn’t want his parents to get upset with him. In Michigan, a speeding ticket for 138 mph in a 70 zone amounts to four demerit points and comes with a fine of at least $180 at the court’s discretion, along with increased insurance rates. Reckless driving also counts as a 93-day misdemeanor and involves fingerprinting, mugshots and posting bond to appear in court. Luckily, the trooper gave the teen a break on the reckless driving charge. Of course, if he was driving a new sixth-gen 2019 Chevrolet Camaro this might not have happened at all. 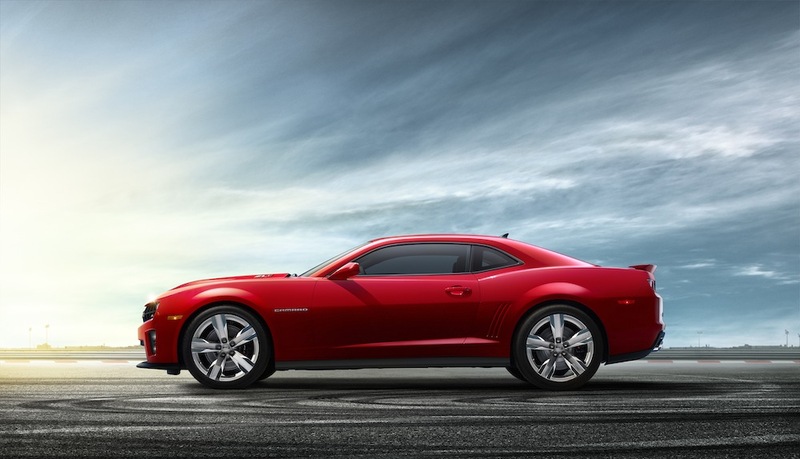 The Camaro, like other Chevy vehicles, is equipped with Teen Driver Technology which allows parents to limit vehicle speed to 85 mph, along with the capability to generate an in-vehicle report which reveals all your young driver’s habits behind the wheel. The kid driving of the Chevrolet Camaro got off lucky in this case, and even more fortunate nobody was hurt, especially when compared to what happened to a 22-year-old driver of a C7 Corvette that was clocked going 125 mph in a 35 mph zone before wrecking. The driver pleaded guilty to one count of reckless driving causing impairment of bodily function and faced the possibility of five years behind bars after his 17-year-old passenger suffered two broken legs last year in Ann Arbour, Michigan. Sometimes, you just gotta get home, ya’ know? It’s nice to hear about a kid who’s fear of is parents is greater then his fear of the law!!! Seems like it would’ve been better for his parents to instill a respect for others and maybe the character to avoid putting innocent lives at risk just to avoid his own punishment. The flawed logic of 17 year olds. I’m curious how from from home he was. At 138 he could have made 100 miles w/ a few mins. to spare. Flawed logic of parents. Put teen in 90 hp car, not 400 hp car.